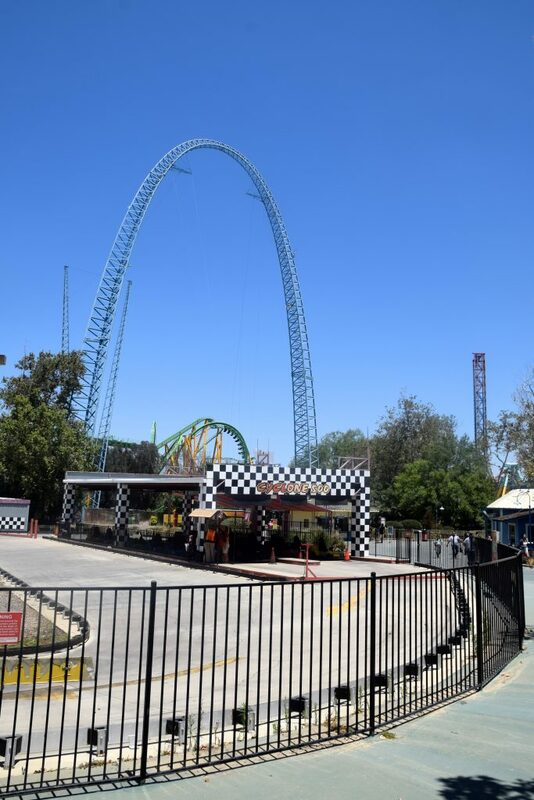 Sean: A quick summer afternoon trip to Six Flags Magic Mountain allowed for us to collect a nice bit of pictures for today’s new update. 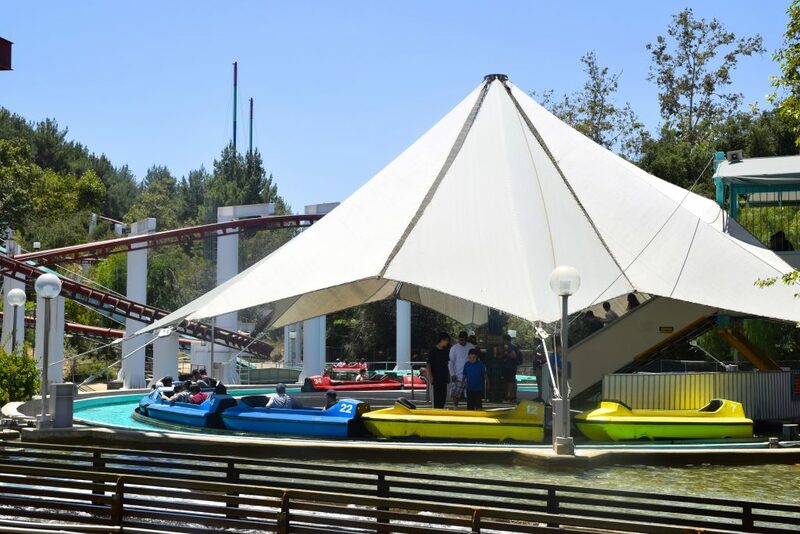 In this update we’ll discuss the reopening of Scrambler, CraZanity construction, the state in which Cyclone Bay is, and more! 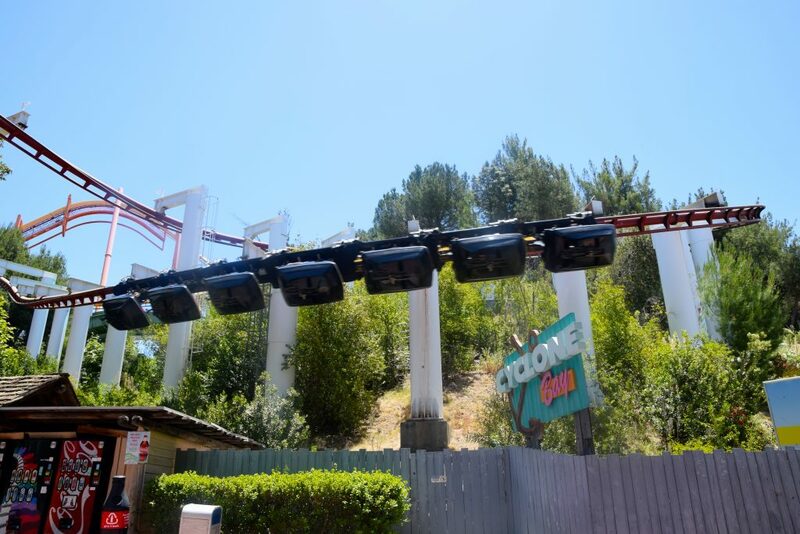 Let’s start off with an unlikely corner in the park: Cyclone Bay. 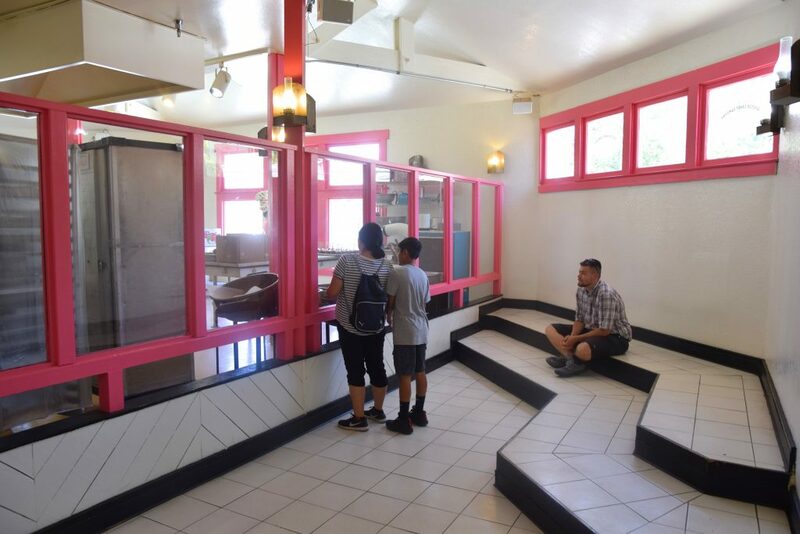 Word on the street is that the area will soon close for an extended time to be the next area to be refurbished, and we wanted to ensure we snagged some pictures and discussed the changes that have already taken place. Cyclone Bay is looking incredibly grim at the moment, and if it were up to me the area should be closed right now. But there is quite some indication of that happening soon. 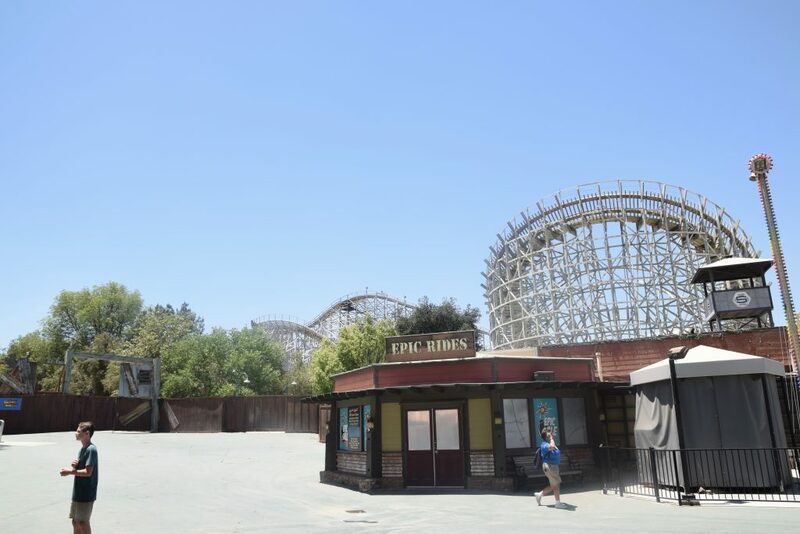 Such as the Epic Rides store having been closed for a while. 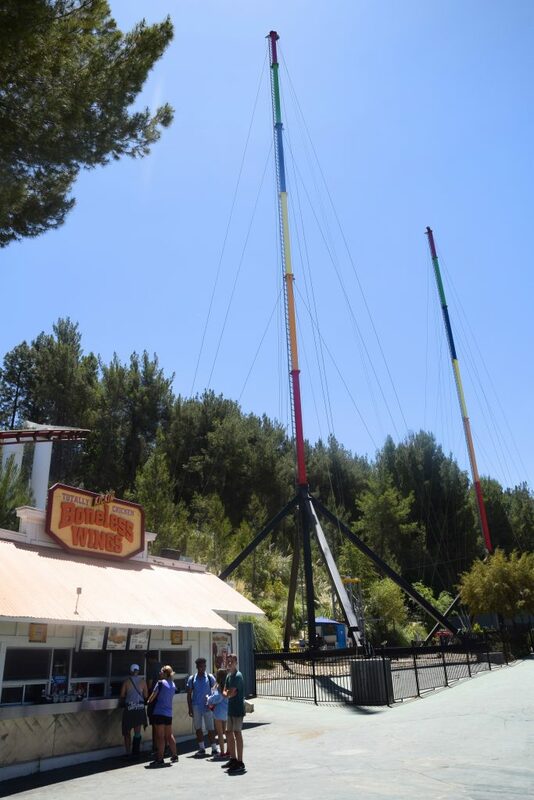 One of the few consistent attractions in this corner of the park is Sling Shot, which was added in 2012. 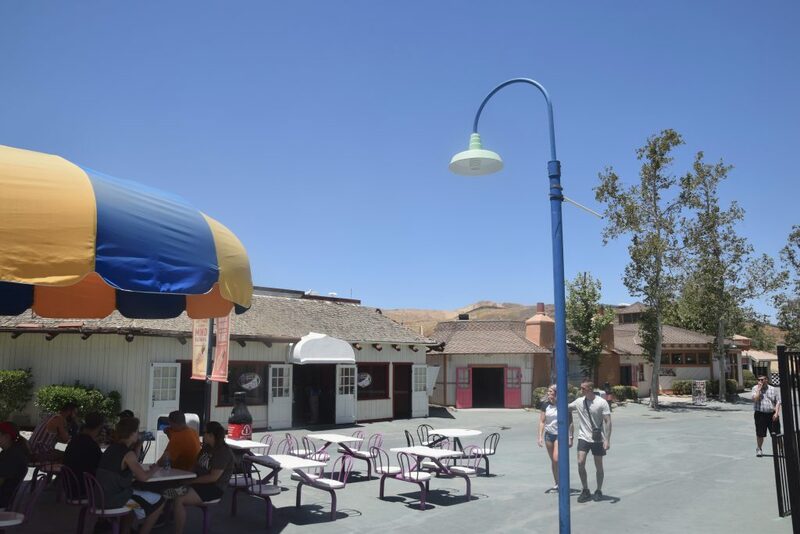 This is by far the park’s saddest looking area, run down, lack of color, even the seats and umbrellas look sad. The game right behind it has been closed for a while. The Arcade and 3-Point Shooter game have also been shuttered and closed. 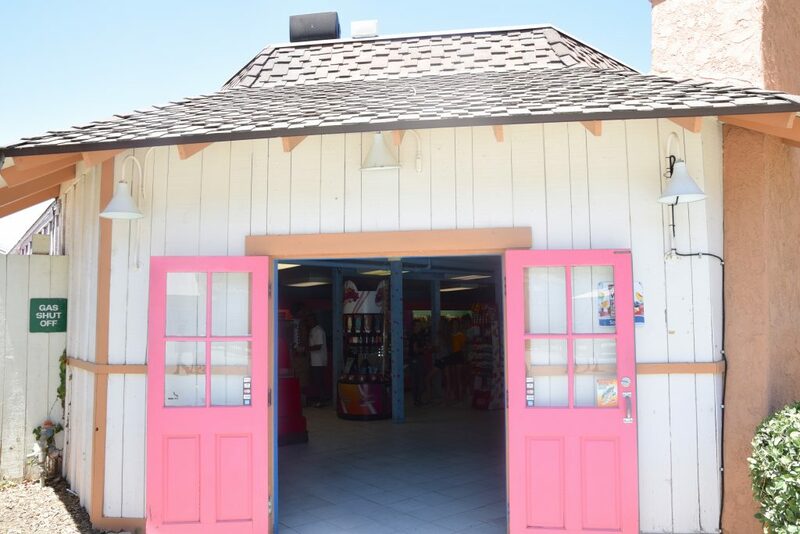 This store has not been open in recent history but is a perfect depiction of the area, it no longer is anywhere near as exciting as Spilikin Corners once was, and the last time I remember this area being relevant was the addition of u (Apocalypse) and the exiting of one of my all-time favorite Six Flags Magic Mountain attractions: Deja Vu. 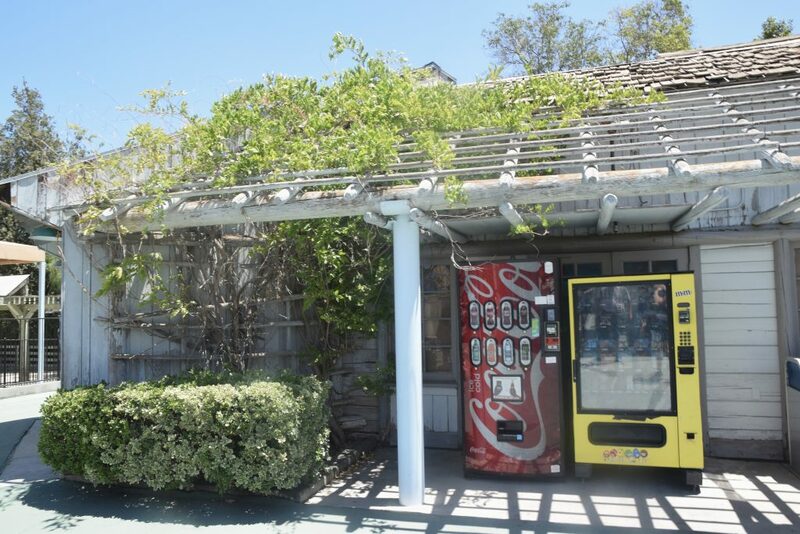 Vending machines were added a few years back, but they do look out of place. 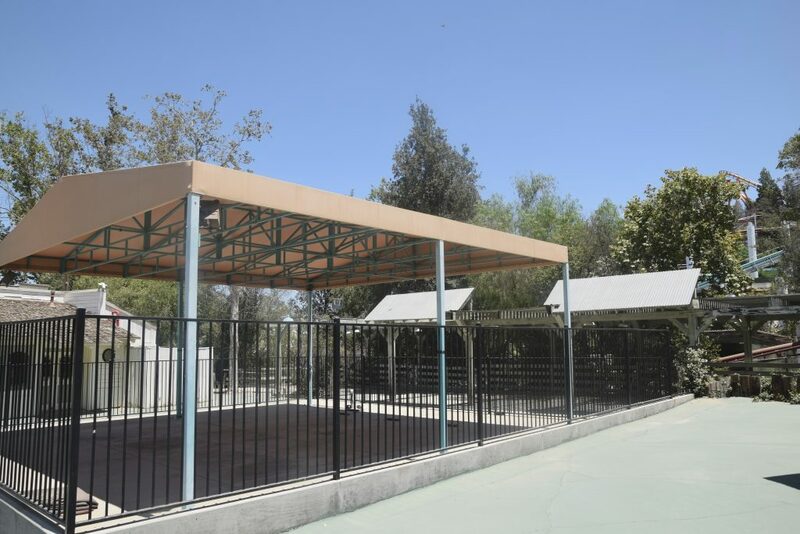 It doesn’t help that the park is in a sandy climate, covering everything in a fine layer of dust. The ladder climbing game has also been removed recently, yet another indication that Cyclone Bay may soon be closing. 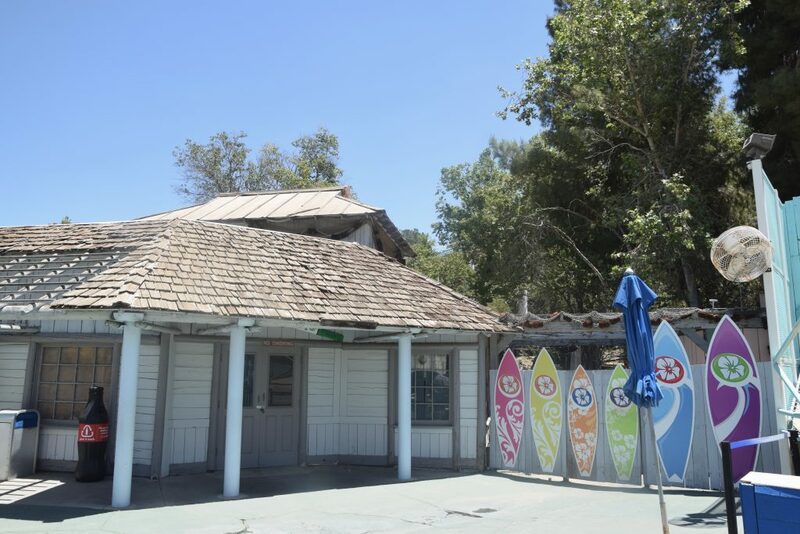 One of our favorite places in Cyclone Bay is the old train station, which we hope gets refurbished and reused as either a restaurant or queue. The train station offers a great view of Ninja, which would seriously make such a great spot to relax in the shade. One thing I had not paid much attention to where the Deja Vu themed lights that are still in the area. 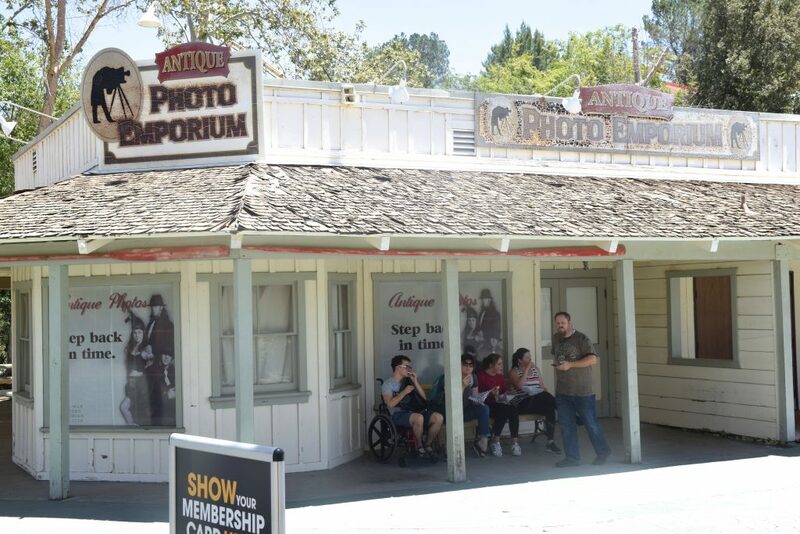 The Antique Photos attraction closed a while ago and is currently used as storage, the interior and exterior look dreadful. 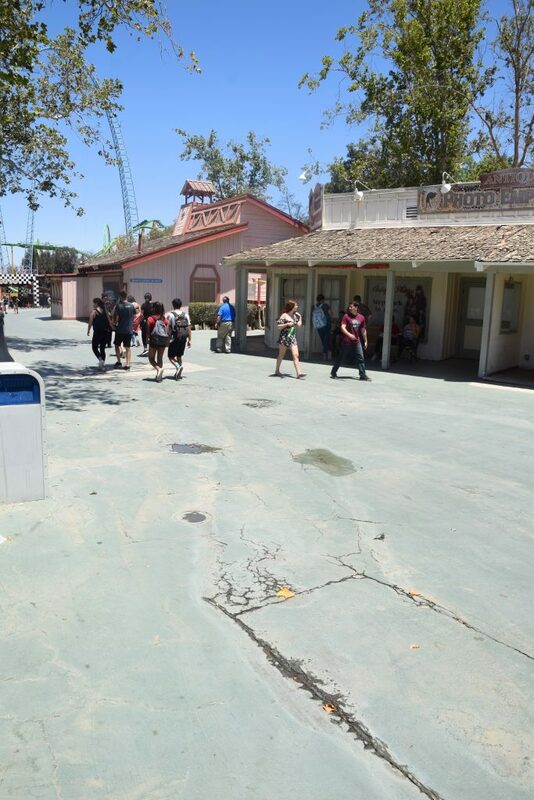 So dreadful that some diaper is laying around a side door being smelly and gross… One of the few somewhat maintained aspects of Cyclone Bay is the Coaster Candy Company which saw a refurb not too long ago. There is a great collection of candy and the store actually seems to see quite a crowd. 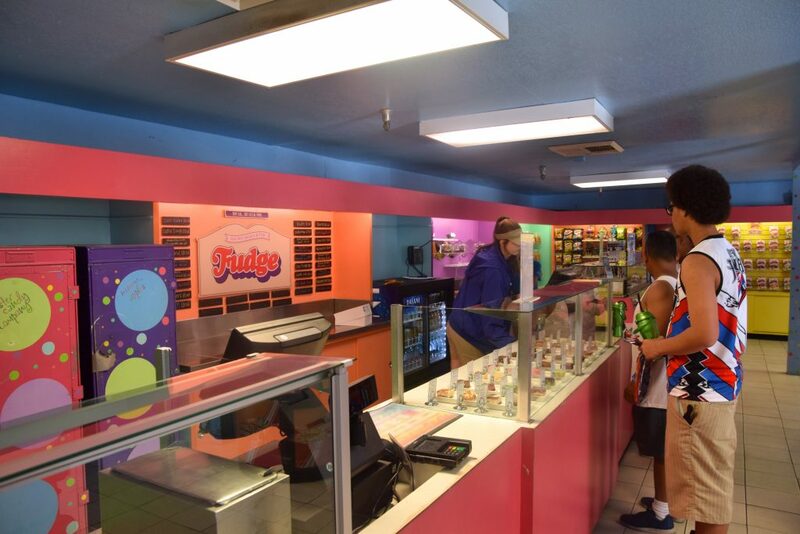 They also serve fresh made fudge! 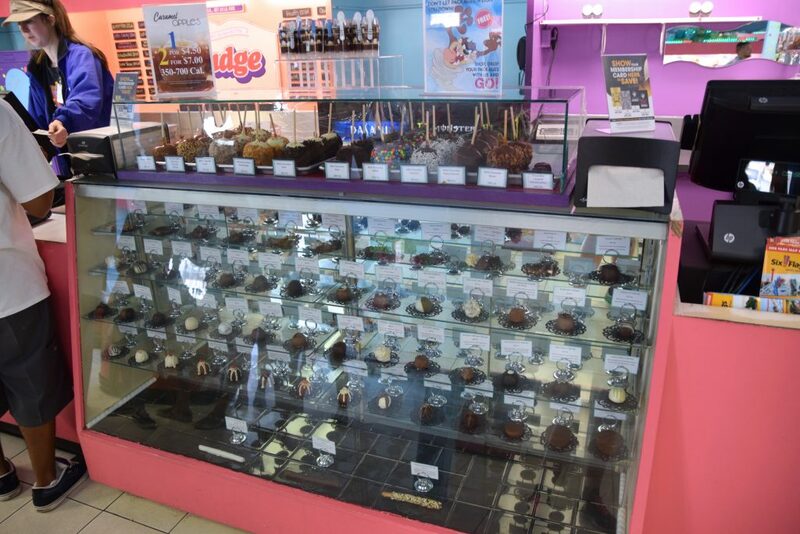 And to be fair, they have a great collection of candy apples and fudge here. 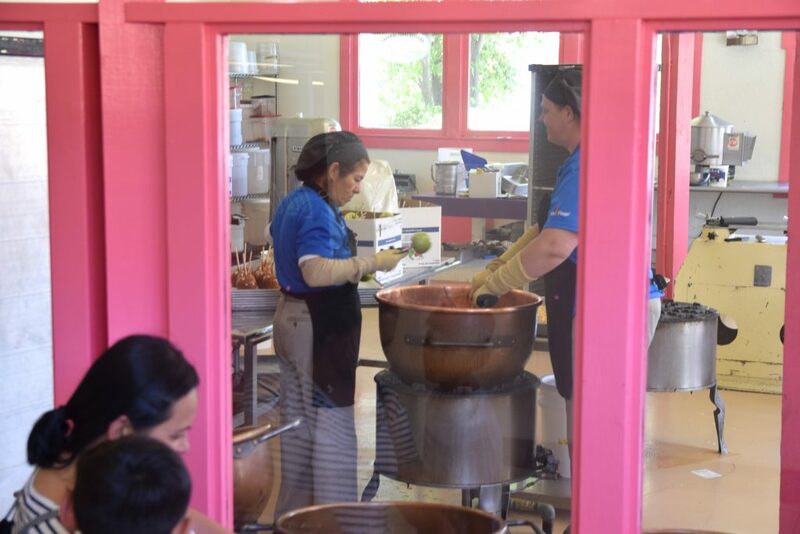 Historically the Coaster Candy Company allows guests to sit down and watch the candy making process, and believe it or not, to this day that is still a thing! 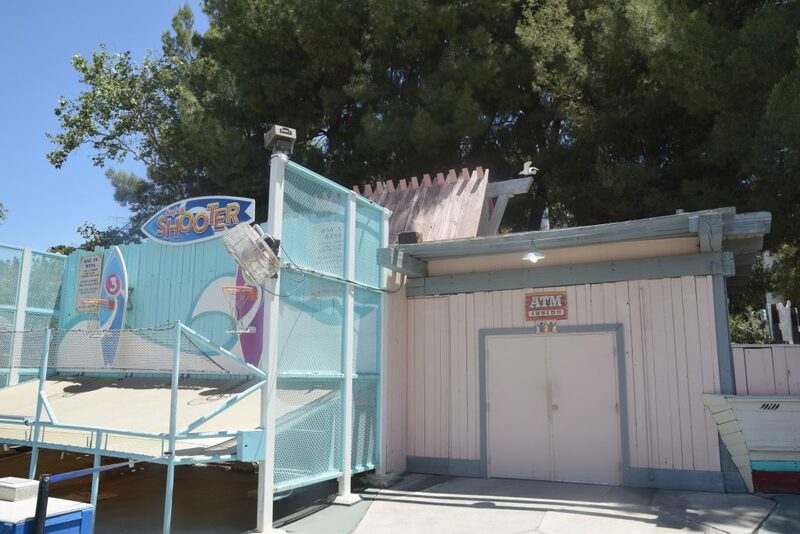 This is undoubtedly the best remaining Spilikin Corners touch, and whatever happens to Cyclone Bay I hope this remains a thing. Another issue with the area is the terrible flooring. Not only is the signage all over the place cracked, the pavement is in terribly sad shape. 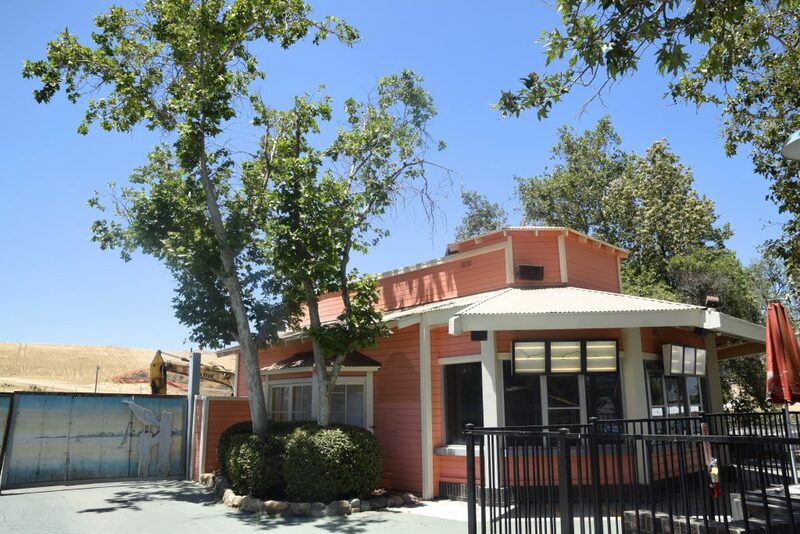 Here’s another look at the closed Antique Photo Emporium. 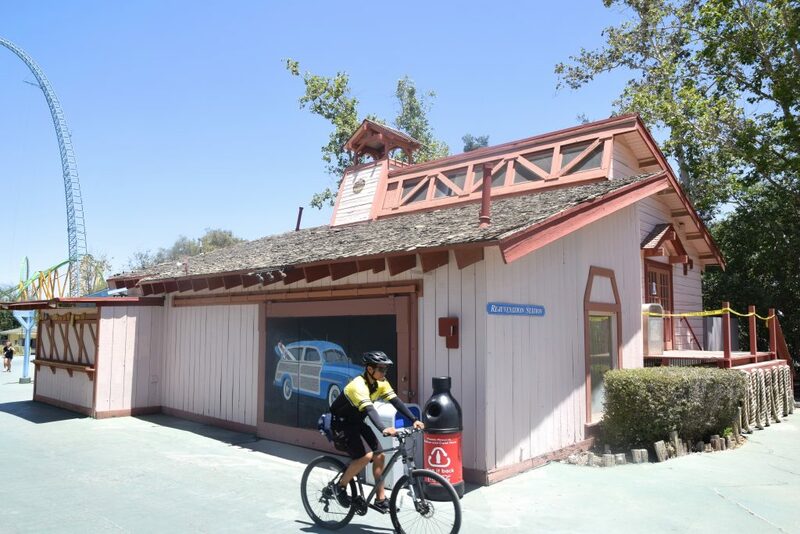 Up to recent years the Rejuvenation Station was open daily, and also sold handmade wooden signs, this Spilikin Corners-esque craftsman style store was the last of its kind in the area, and like the 4 buildings surrounding it is closed too. Los Cuates, another restaurant in the area, was closed early this year and has seen gutting on the inside. 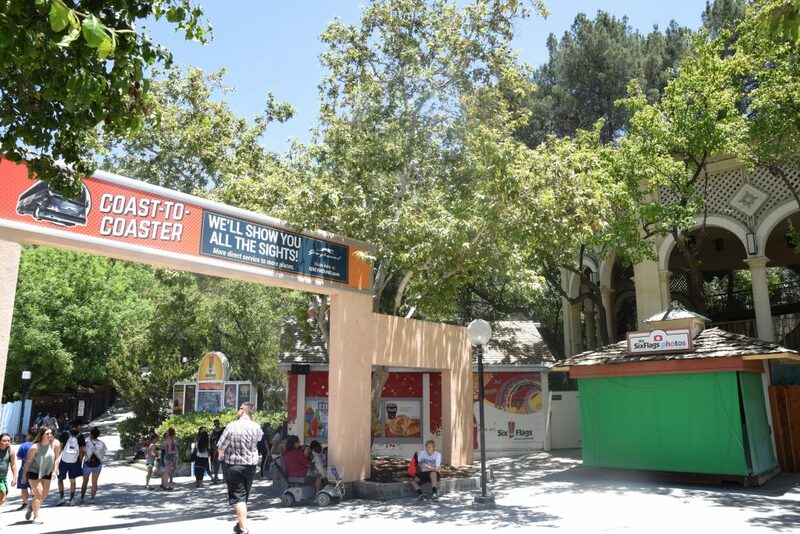 You’re not going to tell me the park isn’t working on getting something going here because the entire area is just getting S.T.R.I.P.P.E.D. 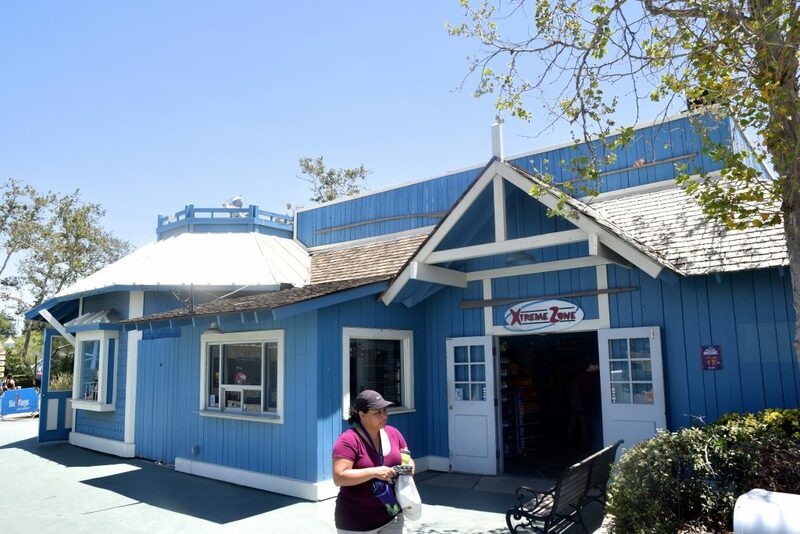 Another accurate representation of Cyclone Bay as of June 2018: The Glass Crafts store too is closed, which, like the other buildings in the area, would make for a great retail, food, or queue spot. 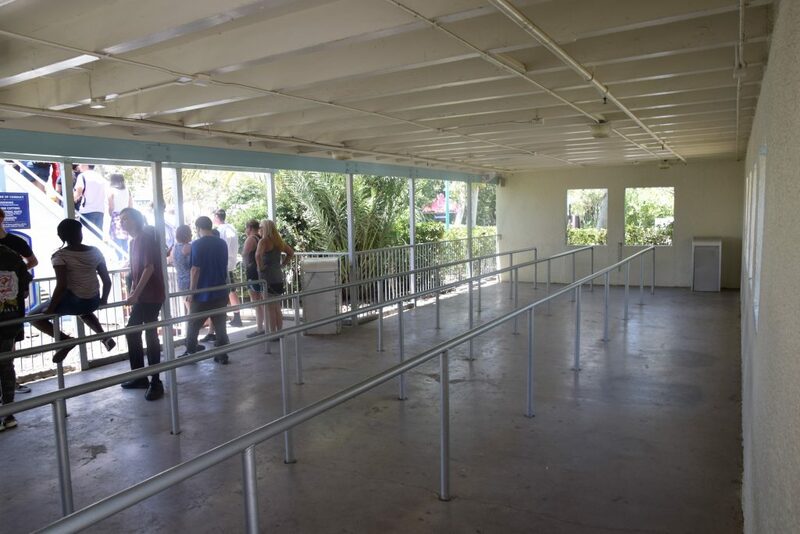 The park’s up-charge attractions are all still open in the area, keeping Cyclone Bay somewhat alive. 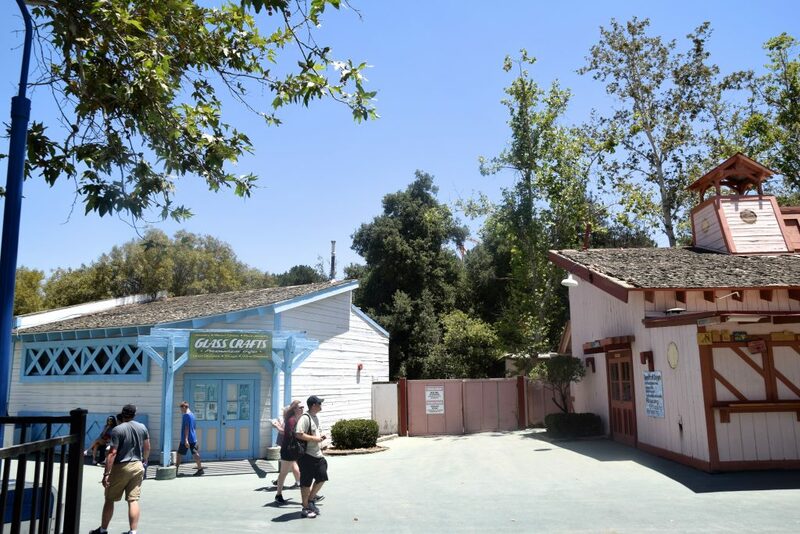 The area is quite large and certainly has so much potential, I can’t wait to see what the park has in store for the area in upcoming years. 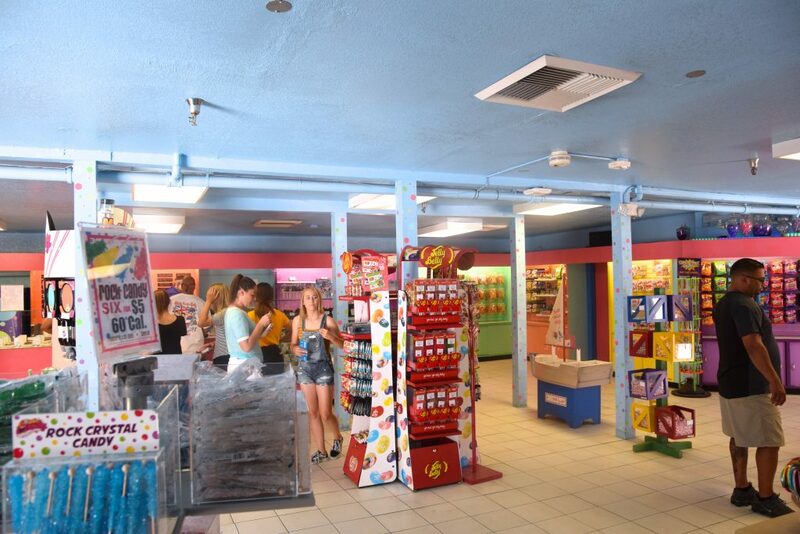 Xtreme Zone is the area’s gift store, which also received a pretty recent refurbishment and is open daily. 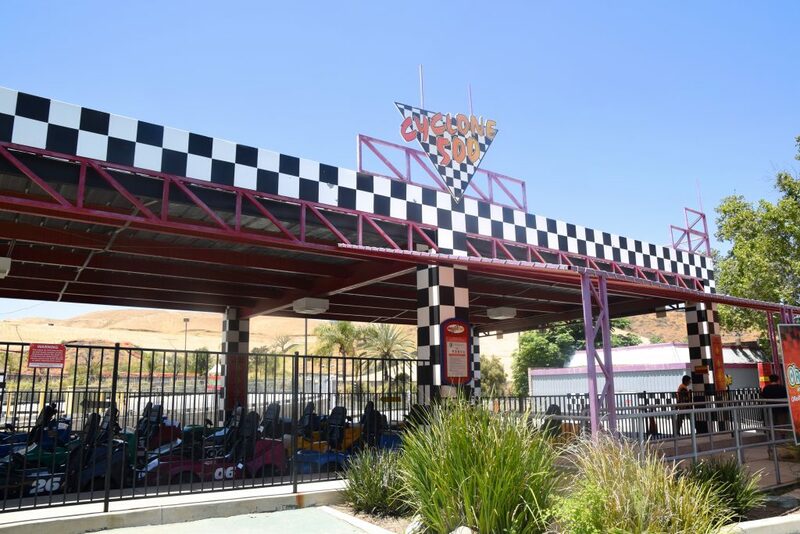 The marquee for Cyclone 500 can use some love though. 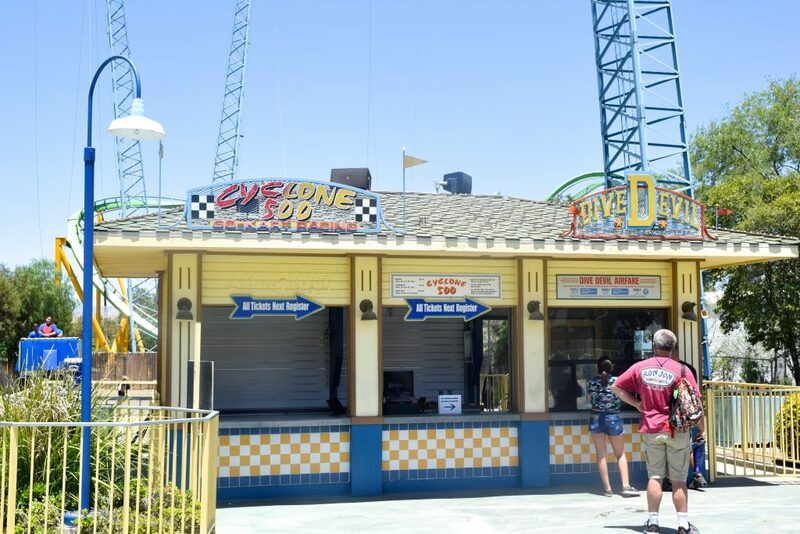 The park went from three registers to one, and all Cyclone 500 and DiveDevil guests pay for their attractions at the far right ticket counter now. Plumbing and fire hydrant wise the park seems to be working on something minor in front of Jet Stream currently. 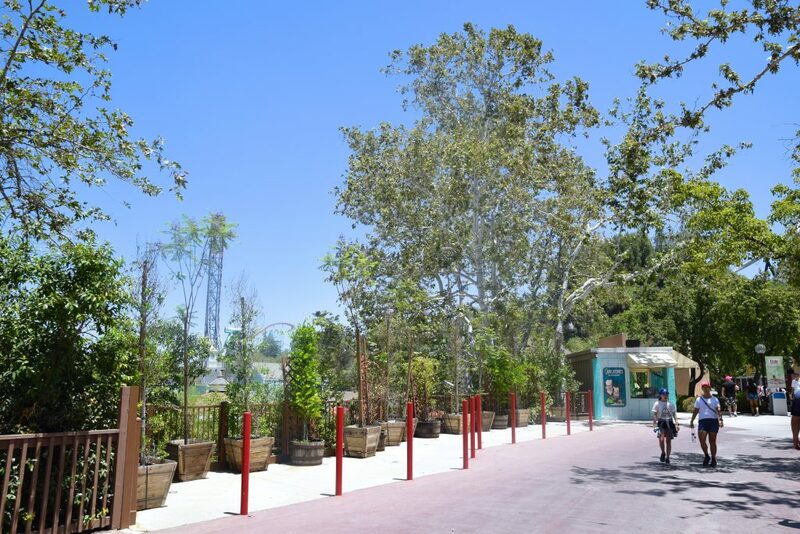 From here on the park gets pretty again, and the park has come a long way with refurbishing their areas. We all know this area needs it the most, and as soon as possible. 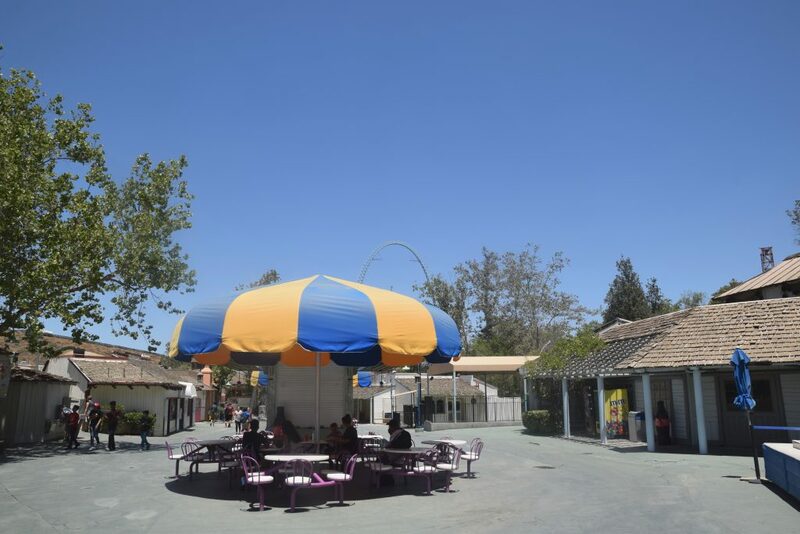 The front section looks alright, some new paint, trees, and vegetation have already made a huge difference, now we need these tables and umbrellas to get replaced. Jet Stream has soon lots of little touches of attention and maintenance over the past few years, but yet the ride always manages to feel a bit outdated due to bad shape the boats are in, as well as the queue and station. 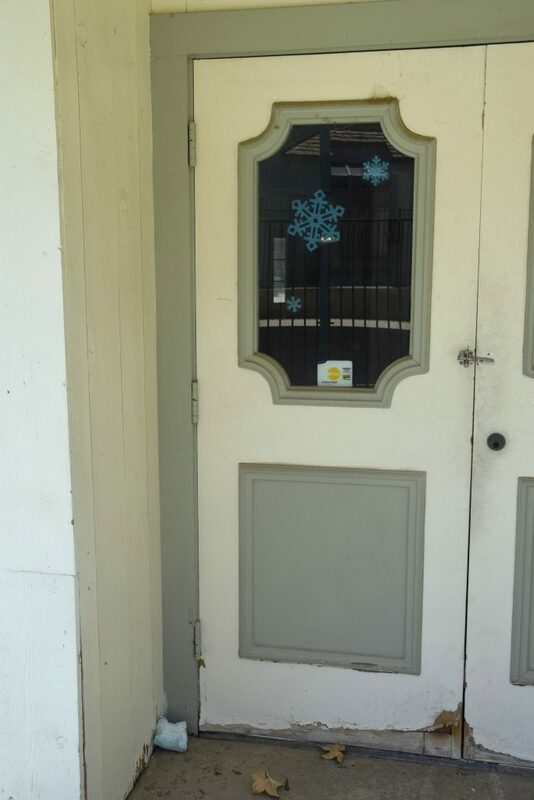 The park seems to have an issue with small details, like paint peeling everywhere. Luckily they have made leaps in the right direction in recent years. Time to leave Cyclone Bay and check out the reopening of Scrambler and all the other CraZanity and Boardwalk construction! 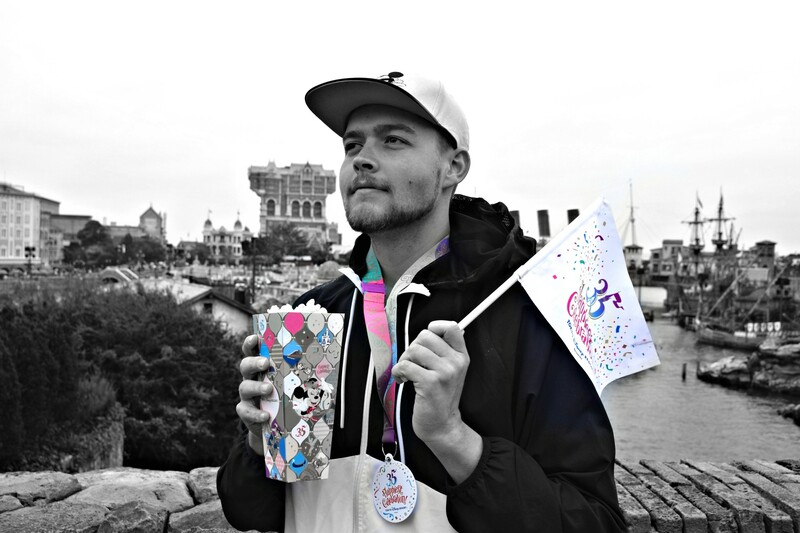 Continue reading the update with CraZanity and Boardwalk information on page 2! 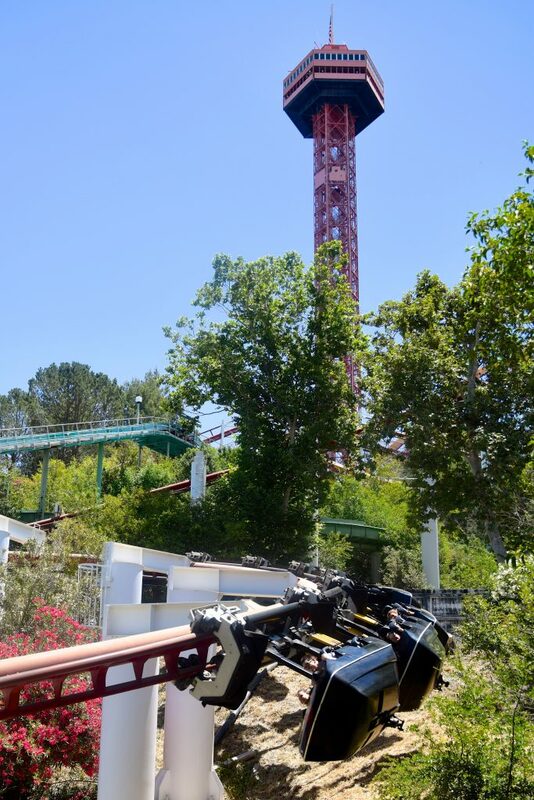 It is heavily rumored that we are getting a new coaster and a new flat ride this year. 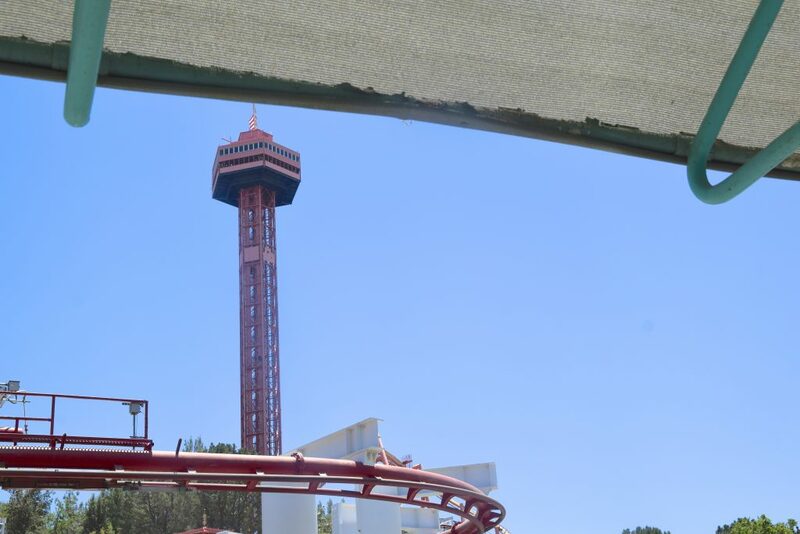 2019 will be the largest capital investment since Tatsu was built. 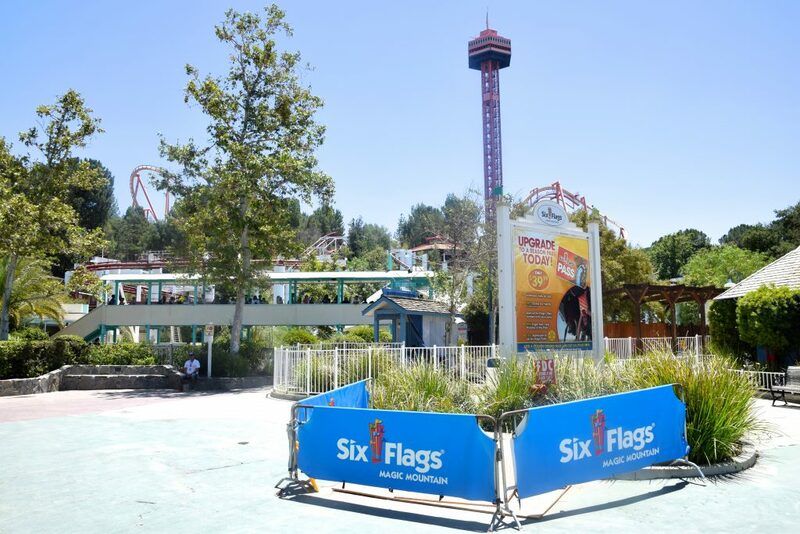 The new coaster will not be a T-Rex or Giga. 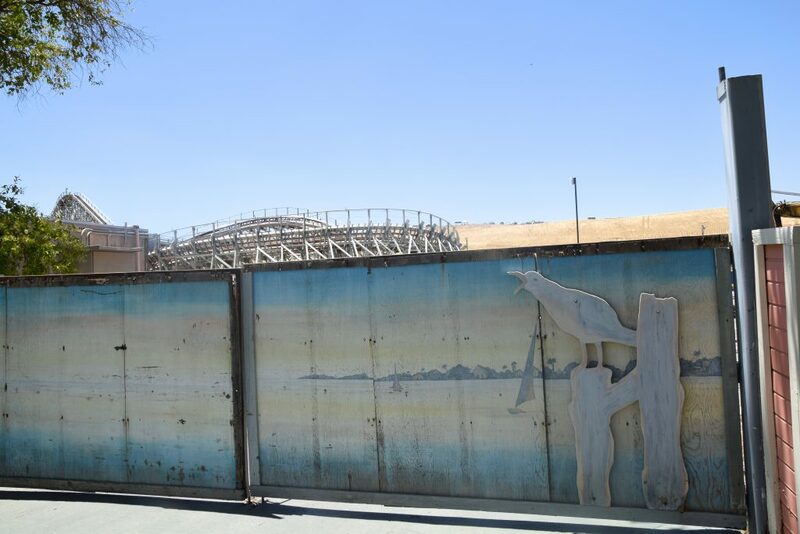 Cyclone Bay is starting to look like it’s been themed to an Apocalypse. Lol. I guess this is where the new coaster is going. 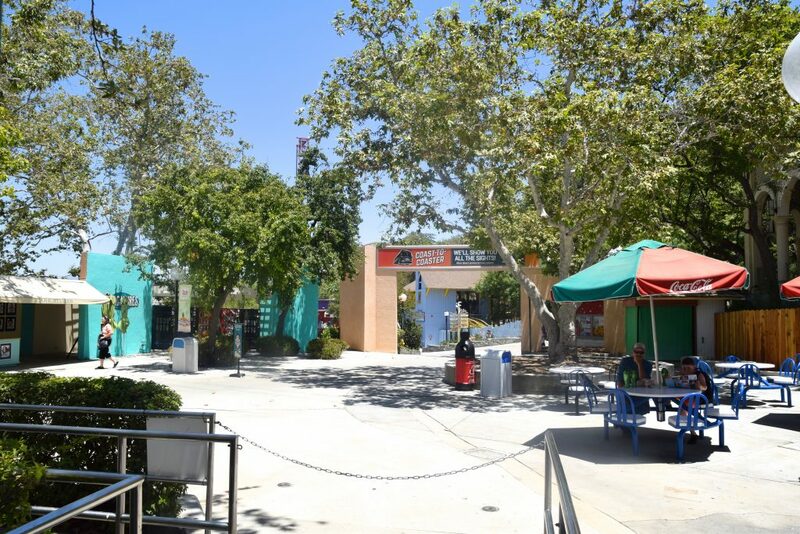 What’s the word on the new beer garden area they were building? Man, I hope they take a look at Apocalypse too. That ride has such a cool layout and could be really great but it’s so unbelievably rough. I’m convinced there are square wheels on those trains! Hopefully they’ll give it a little love, especially since it’s the only woodie in the park. First, while nothing will top the new Star Wars Edge of Galaxy area at Disneyland, I think SFMM will counter with something fairly big for 2019. And they’re due for a new coaster since the last one was Twisted Colossus three years ago. 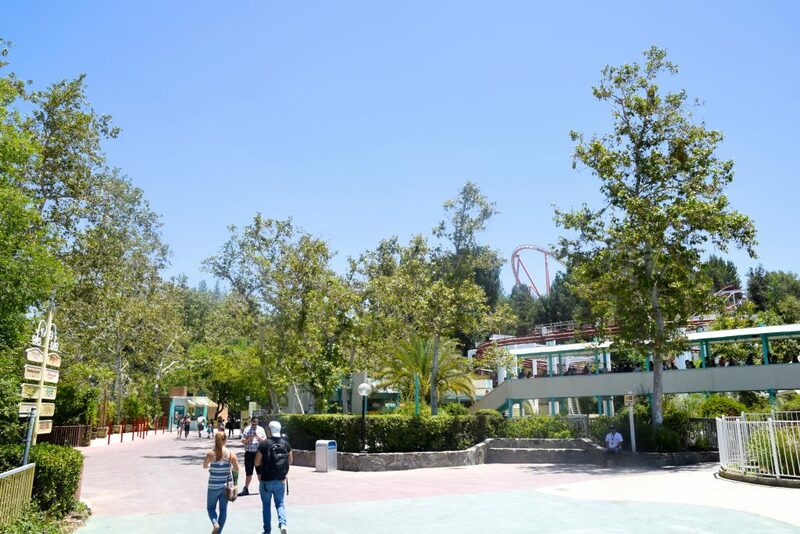 2019 will be four years, and that’s too long for this park. Second, the park’s 50th anniversary is only three years from now. I’d like to think that there will be something HUGE in 2021. 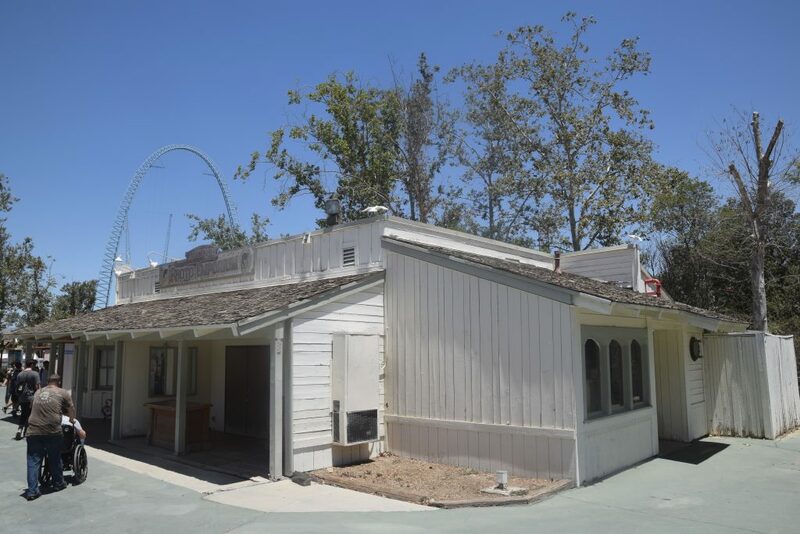 Third, I agree that Cyclone Bay is waaay overdue for a renovation. The park knows that, and I think they’ll either completely retheme it, or spend some serious money getting it fixed up. As for attractions, sadly, there’s little back there to draw people. 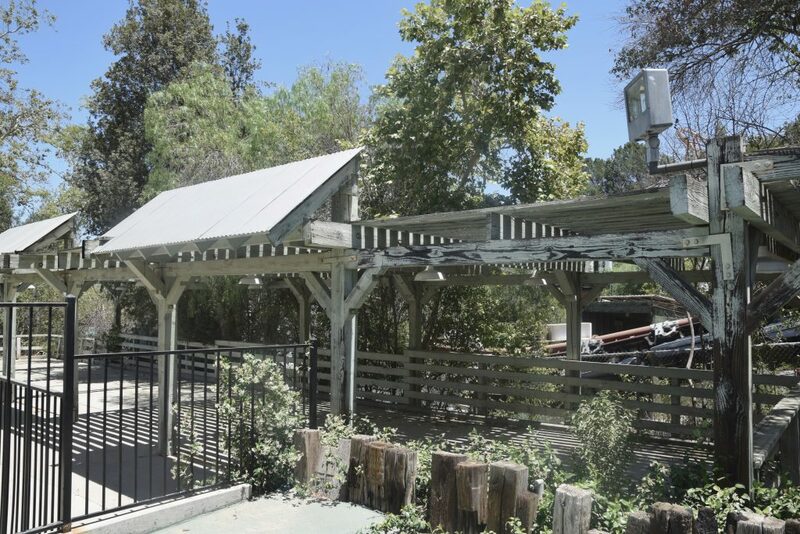 Upcharge rides and a rough wooden coaster ain’t gonna do it. I like a good woodie, but they don’t last in Southern California. We have the wrong kind of weather here, and it doesn’t help that our wooden coasters run all year long. That’s giving ’em a beating. Thank you, Sean, for the coverage you give our parks in California. You do a great job!